Few days back, we presented you the imaginative rendering of the TVS Apache 310 SCR concept. 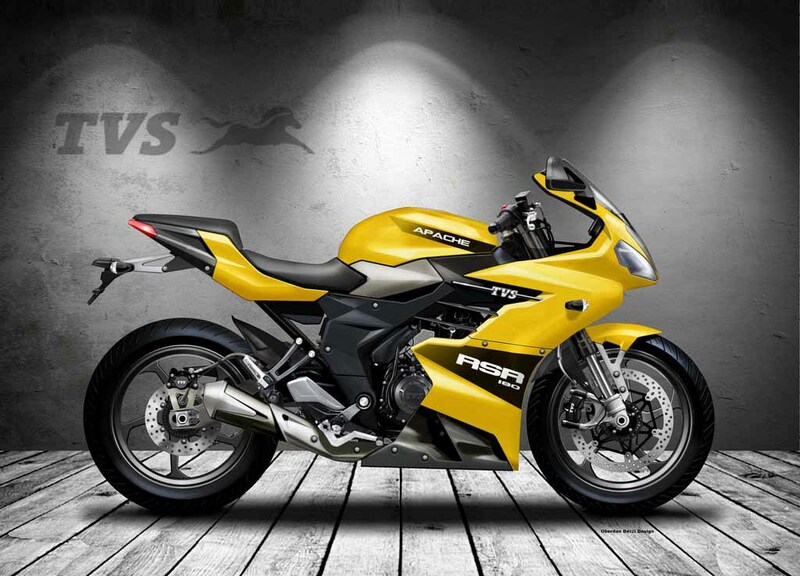 Now, the same designer Oberdan Bezzi has imagined the TVS Apache 180 in a fully faired racing bike avatar. The latest rendering reveals how he imagined the regular bike in a completely race-track focused model, christened as the TVS Apache RSR 180 concept. Though, this is a work of pure imagination, but the Apache RSR 180 concept looks very promising and practical. Being a popular two-wheeler manufacturer, TVS Motors can always consider making such a model. Despite being based on the Apache RTR 180, the rendered image shows the Apache RSR 180 with a completely different appearance. The concept gets totally different headlamp, which is sharper and wider than the Apache RTR 180. 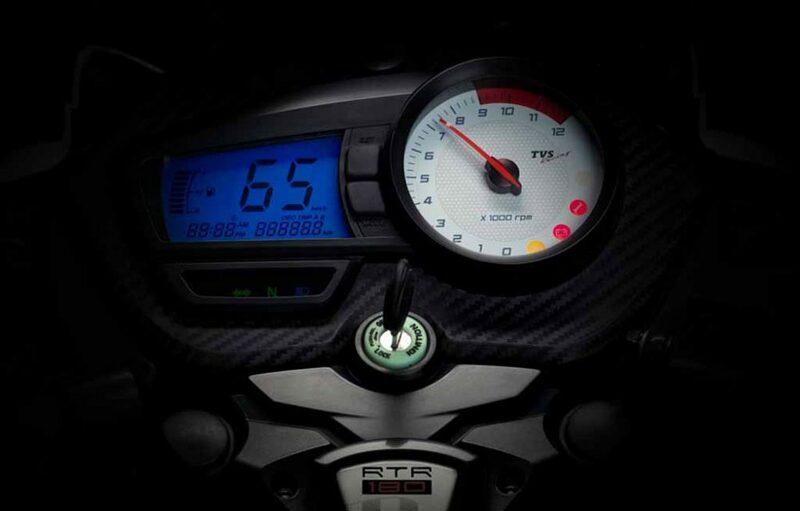 If produced, the bike would receive an analog-digital combo instrument cluster, just like the popular regular model available in market. The fuel tank looks muscular and he full frontal fairing along with the side body panels, the concept looks carrying pure racing gene. Well, TVS promotes its Apache range by saying that the bike range has born of racing gene. The seat comes in split manner compared to the Apache RTR 180’s plain long seat. Rear profile of the Apache RSR 180 concept too has been imagined in different manner. It looks sleek and sharp and carries different looking LED taillight. The exhaust too comes different looking than the RTR 180. Altogether, the TVS Apache RSR 180 concept looks very interesting. Power source for the bike would be shared with the TVS Apache RTR 180, but there could be some tuning to generate more power and torque. 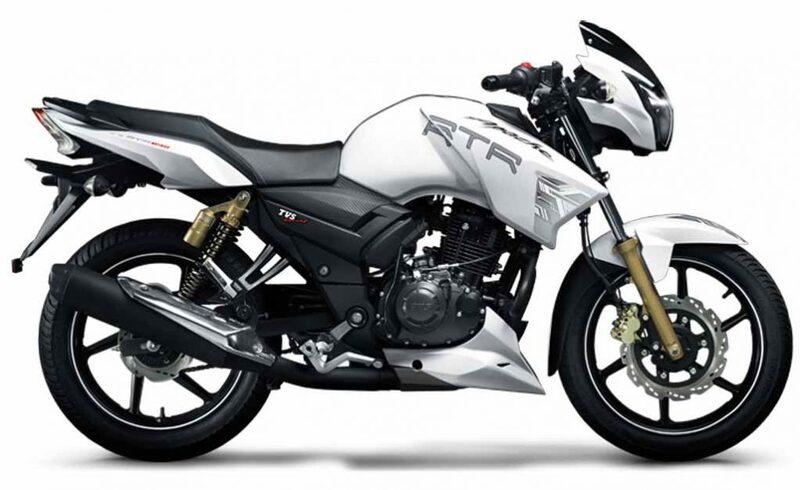 The Apache RTR 180 is powered by a 177 cc single-cylinder, air-cooled engine mated to a 5-speed gearbox. This powertrain is capable of churning out 17.30 bhp of peak power at 8,500 rpm and 15.50 Nm of peak torque at 6,500 rpm.